explore the opportunity for fresh starts in our hearts,our faith, our relationships and a purpose as a community of faith. Join us for a congregational meeting, open to everyone, to hear a summary of consultant Dr. Rev. Linda Louderback’s report and perceived current realities of Heritage UMC. 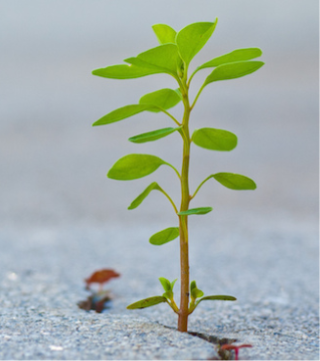 There will be opportunity for discussion about future possibilities moving forward as a church. The Missions team is pleased to announce a new onsite project. 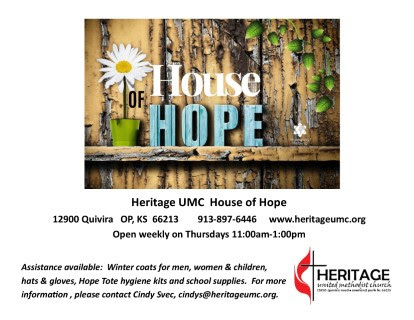 We will be distributing winter coats and hygiene kits through the Heritage House of Hope. We have set up a Missions room at Heritage House to store/display needed items and we are inviting members of the community in need to stop by on Thursdays from 11am-1pm and select a new or gently used winter coat and Hope Tote hygiene kit. We are in the initial stages of this new project and will be adapting the expectations and hours of operations as the project progresses. If you are interested in helping on this new project and/or to work a shift on a Thursday, email Cindy Svec, cindys@heritageumc.org.